A pizza delivery man in Virginia nearly had his pizza stolen by an armed man -- until someone else intervened and paid for the food. 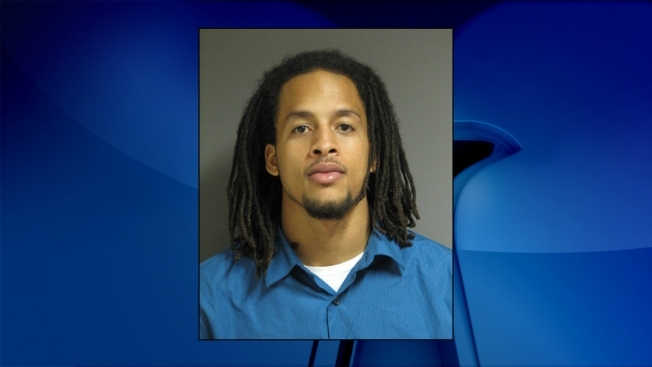 A warrant is now out for the arrest of 22-year-old Daevon Hullie Carroll Cohen. Prince William County Police say the delivery man was dropping off an order in Woodbridge around 12:30 a.m. Saturday when Cohen demanded the pizza. When the delivery man refused to hand over the food without being paid, Cohen showed him he had a gun tucked into his waistband, police said. At that point, another resident of the home intervened and paid for the pizza. The delivery man, a 38-year-old Woodbridge resident, was not injured. His boss called police after hearing what happened. Officers headed to the home in the 3900 block of Sunnybrook Court, where they determined that Cohen was the suspect. However, he had already left. Cohen is now wanted for attempted robbery and use of a firearm in commission of a felony. He is five feet, 10 inches tall, weighs 150 pounds, and has a thin build, long blond dreadlocks and brown eyes. He is shown above in a picture from September 2013.